Marvel is joining the digital age in a big way with its comic titles shipping in June. The House of Ideas, as it’s known to long-time comic readers, has announced that beginning June any print comic it publishes that costs $3.99 or more will include a download code for a digital version of the book as well. Marvel has been testing the concept for some time now with its “Ultimates” line, but this is the first time it will be executed company-wide. DC Comics, the second of “the Big Two” comic publishers has also been testing this out with some of its The New 52 titles. This falls in line with what the DVD and Blu-ray companies have been doing for a while now with digital copies of movies, but in that case you usually need to buy a more deluxe edition to get the “free” download. Judging by the books Marvel has up for order in May, this new offer will cover just under half of the company’s line of books. The deal will apply to the digital comic stores on both the Android and iOS platforms. New York, NY—March 9, 2012— Marvel is proud to announce that, beginning June 2012, all Marvel super hero comics priced at $3.99 will include codes for free digital copies of those same issues on the Marvel Comics app for iOS and Android devices at no extra cost! That’s right, the most-talked-about comics in the industry—including Avengers, Captain America, Invincible Iron Man, Mighty Thor, Amazing Spider-Man. Wolverine & The X-Men and more—will come packed with a code to ensure fans have the most critically acclaimed stories with them anytime, anywhere. 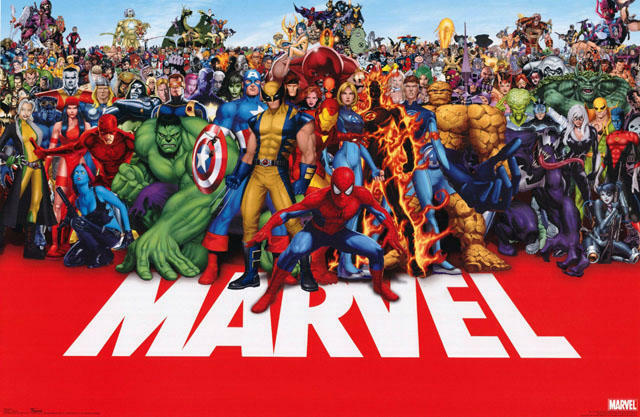 Marvel made comic book history in 2011 by announcing all titles in the Ultimate Comics line would include codes for free digital copies on the Marvel Comics app , with unrivaled incentives for comic shop retailers. Then, in 2012, Marvel announced the acclaimed Season One graphic novels would also include similar codes making them the first graphic novels to ever include codes for free digital copies at no extra cost.